After some serious browsing on Pinterest, looking for something to make my party food more extraordinary than ordinary i came across edible glitter and since I’m in the business of disco parties my eyes automatically went straight into glitter overdrive. I pinned Glitter Cake pops, glitter donuts, glitter chocolate, glitter fairy bread even glitter ice cubes i could ‘pin’ for days. 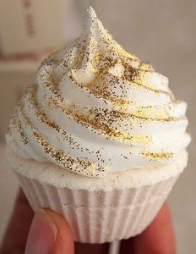 You can buy edible glitter from almost all cake stores, spotlight etc but what really caught my eye was you can make this stuff at home, who knew edible glitter was a thing let a lone something you can actually make at home and in 15 minutes! Below are the 7 simple steps to make your own edible glitter, it really is the perfect extra touch to your Disco party food, it also helps that the kids go crazy for it! Preheat the oven to 350oF/180oC. Line a baking sheet with parchment paper in readiness. 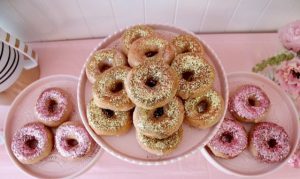 While you can use a no-heat method applying a little bit of heat allows the sugar (i.e. “glitter”) to take the colour dye even better. Add 1/2 tablespoon of the liquid food colouring to each bowl. This comes out to about 4 to 5 drops of dye for each 1/4 cup of sugar. Stir to cover the sugar in dye. Ensure that the colour is on most or all of the sugar. Spread the sugar across the parchment paper on the baking sheet. Push down any lumps to make one even layer. Place in the oven and bake for 8 to 10 minutes. Keep an eye on the sugar after 8 minutes. Depending on the oven (which may run hot), some sugars cook quicker than others. If you start to see any sugar crystals begin to melt or boil, remove from the oven. ◦ While baking, check now and then and push down any lumps you see. Allow to cool. Once cooled, the glitter sugar is ready to use or can be stored in an airtight container.